We may be seen the end of rifts on the Fortnite map soon enough as we head toward season 6 and whatever the Cube has in store for us. But before that happens, Fortnite wants to make sure you use them. A lot. One of week 8’s challenges, which has just gone live, is that you need to use 10 rifts and different rift spawn locations all over the map. You probably know what rifts are by now, but if you’re a brand new player, they are the glowing points of light you’ll find on the map that will launch you into the sky to glide back down if you run into them. This challenge is asking us to use ten rifts in ten different rift spawn locations, though precisely what that means is something I still need to confirm. It could mean just ten different rifts period, or it might mean that you have to go to entire different parts of the map. Like maybe you can use all four rifts in the image above, or maybe those four count as one “area,” I need to check. If you figure it out first, let me know. 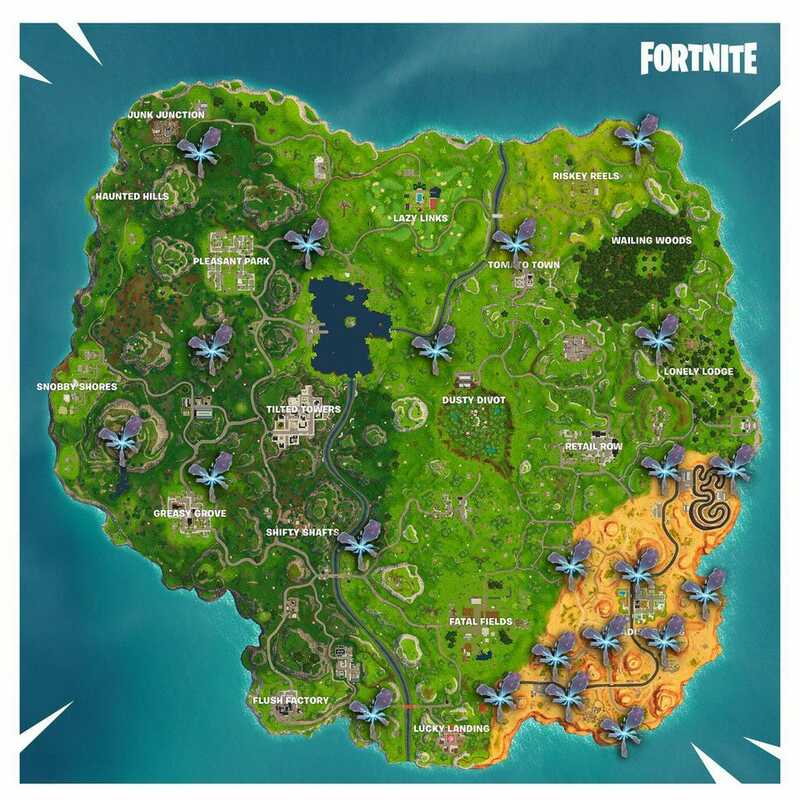 This is not every rift on the map, and many of these locations will have multiple rifts appearing in the same spot, so if it is just ten individual rifts, you can keep going back for more after you find yourself dumped out of a hole in the sky. Keep in mind rifts are not guaranteed to spawn at these spots every match, it’s just where they appear frequently. I do not believe that rift-to-gos are not going to count for this, the consumable rift item that was just introduced to the game last week, because the challenge specifically states that you need to use them at spawn locations, and I don’t think the rift grenade counts as that. If it’s just ten rifts period, this a pretty easy challenge. If it’s ten different locations, that will definitely take a bit longer, but you should be able to get it done with the help of my trusty map above. 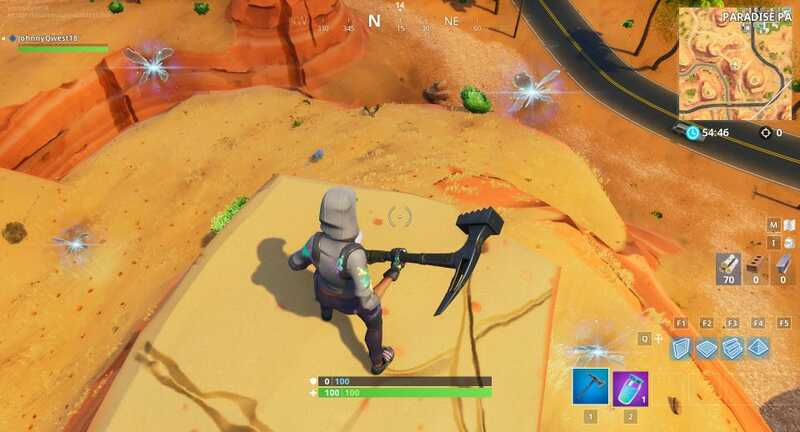 I know that Epic has recently added even more rifts to the map above and beyond what there used to be, so there might be more clusters of rifts elsewhere that I haven’t discovered quite yet. I really doubt that we’re going to see rifts stay around past season 5 of Fortnite. 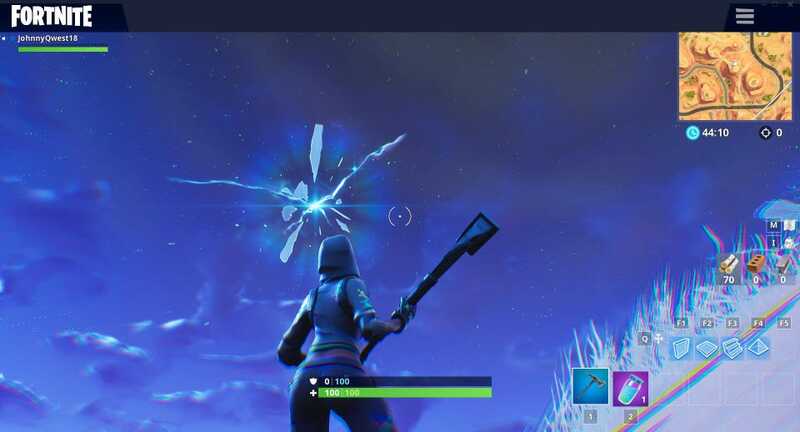 Yes, the Cube is going to change the map somehow, but the sky rift is gone, nothing else is being eaten up by new rifts anymore. The era of the rift seems like it’s coming to an end. They may live on in rift-to-gos, but I would be surprised if the dozens of existing rifts stayed scattered around the map going forward. Check back here for updates on this challenge, and enjoy your time hopping through space and time. Update: Alright, I think these have to be a little spread out. I just tried to do another rift at the same mesa pictured above, and it didn’t count. But I did one at another mesa just a little bit of a jog away, and it did. But it seems pretty generous about what’s a “new area,” so I don’t imagine this will be that tough.